Chapter 15 is called, "Purushottama Yoga" (the yoga of how to attain the Supreme). In this chapter, Lord Krishna introduces a topic that is beyond Prakriti and the Purusha - Ishvara, the Purushottama. The Supreme Deity, which Krishna identifies as Himself, lies beyond even the Soul and is the origin of all things. 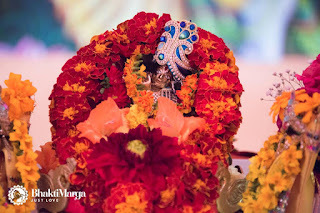 This chapter speaks of the unity that can be attained with this Supreme Lord. "When one lets the soul take control of one’s life, one realises that it is God which is the controller of everything. Actually, it’s like you are driving, He is a driver. You are sitting in a car and He is the driver. He is driving you everywhere. So here, you see, when He (Krishna) chose to become the charioteer, it was not just for fun, as if He said, “Okay, I don’t have some job to do, but if I fight this fight, I will win.” He said, “No, I will not fight.” You see? That’s why He chose to be the charioteer, to show that He is the one which governs everything in this entire universe and that we are eternally connected to Him, whether you want it or you don’t want it. His energy excels all energies, destructible energy and indestructible energy. So everything is Him. So, He is beyond that. He is the source of that energy itself. He is the source of all the forms of energies, all vibrations. That absolute pure reality, those who attain that supreme reality, perceive the unity in all. One becomes everything. One realises that one is with everything around. There is no separation. In this aspect there is no evil, there is no good. There is only the supreme calmness, tranquillity. There is this supreme bliss. There is the supreme peace. There is only the cosmic vibration vibrating everywhere. One pierces the barrier of understanding, hearing. 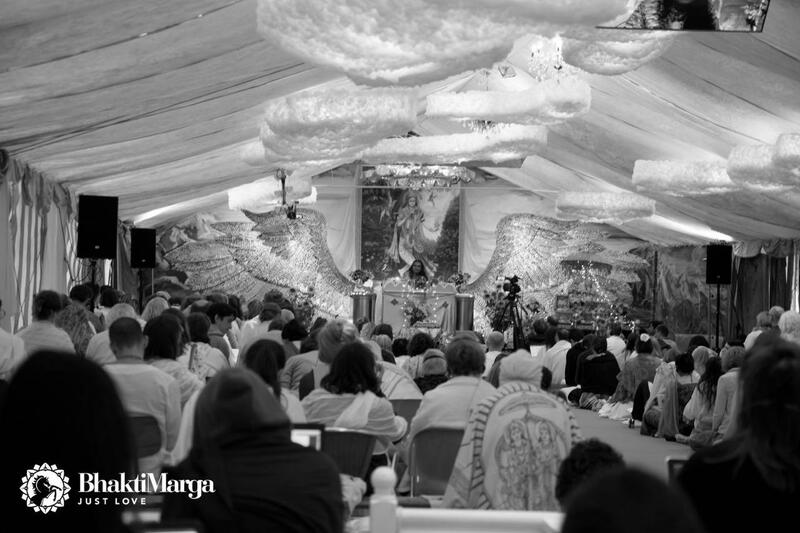 One hears only the cosmic sound behind all the sounds, which is OM Namo Narayanaya. That’s why all the sages said, 'Chant OM Namo Narayanaya,' because this is the cosmic sound. Chapter 16 is called, Daivaasurasampad Vibhaaga Yoga (the yoga of discrimination between the good qualities and the negative qualities). 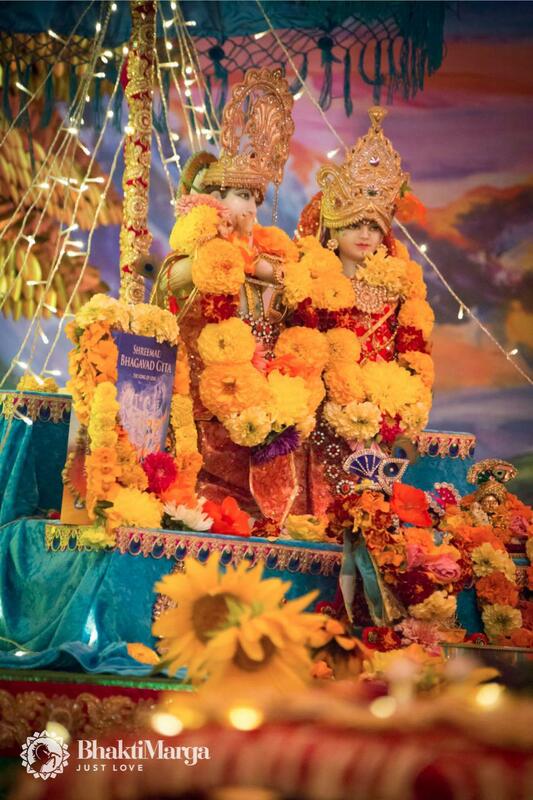 In this chapter, Lord Krishna explains the godly qualities that a God-Realised soul has. Sri Krishna explains to Arjuna how one can recognise somebody who is God-Realised, who has Divine qualities and how you would realise those who have demonic qualities, evil qualities inside of them. Here it's not in somebody else, it's inside of each person. "Bhagavan said there is certain practice how to purify yourself, how to cleanse yourself and if you want to follow, the Divine will make its way, will make things happen in such a way that you will be brought upon that. But the first step is that you have to want it. If you don’t want, it doesn’t come to you. But if you make that first step of wanting to change, that wanting to change itself will open a new world itself for you. Here Bhagavan said nobody is lost. Here on Earth there are always open chances for everybody. Whoever is born here, especially for the people of evil tendencies, tamasic quality people, God will always remind them. He will always remind them, but the choice is theirs. That choice He can’t force anybody. He will be a constant reminder. Same, as you are a constant reminder for so many people, so many people which are pointing fingers towards you, criticising you, judging you, saying all kinds of evil against you. But this is the reminder of God to them also. Chapter 17 is called, "Shraddhaatraya Vibhaaga Yoga" (the yoga of distinction between the three types of faith). In this chapter, Lord Krishna touches upon several different themes, focusing mainly on the analysis of different aspects of life; including what we eat, our actions, or performing sacrifice (worshipping the Lord); in relation to the three gunas - sattva, rajas, and tamas. "One who does charity, helping of people, with the true sense of serving, not for a show, but from the heart, those who give and forget about it don’t expect any gratification or ‘thank you’. They do it because they feel this is their duty to serve and they feel great joy in serving. They feel elevated in serving, not because they want something in return. Here the real sense of service, service doesn’t mean that, you know, you are paid or expecting something in return. No. Service, 'seva' stands freely. You are doing it for the Lord, you are doing it for God, you are doing it out of love without any expectation. Because whatever you do out of love is without any expecting something in return. 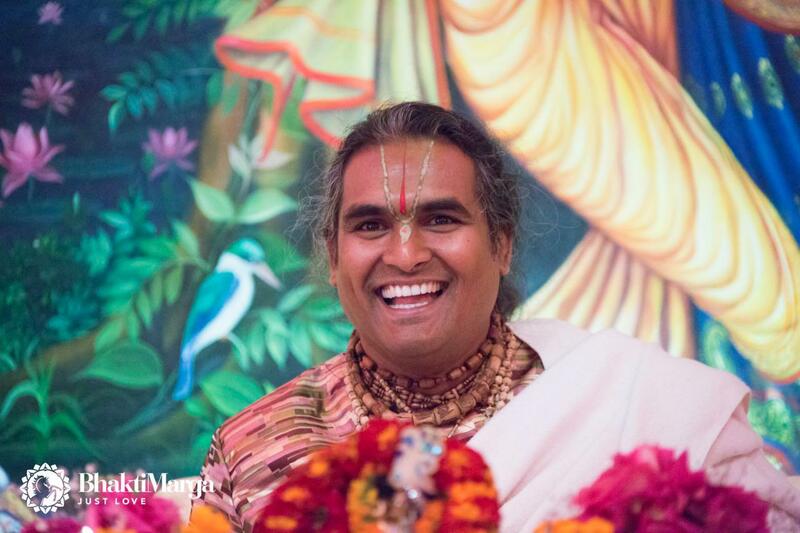 Overall, Day 7 was an intense day of commentary, as Paramahamsa Vishwananda had finished chapter 17 at 1:00 a.m., an hour after midnight. The week has gone by quick, and with one more day and one more chapter, it's exciting to see how the spiritual Master will conclude his epic commentary that captures the essence of the Shreemad Bhagavad Gita. Jai Gurudev!